Effectively setting goals … and following through with them. Michael Masterson told me once that this is the foundation of everything he’s accomplished – from learning Brazilian Jiu-Jitsu … to writing New York Times and Wall Street Journal bestselling books … to creating multiple multimillion-dollar businesses. Master copywriter John Carlton has said the only reason he’s one of the highest-paid copywriters on the planet is because of the goals he sets – knowing once he sets a goal, it will be accomplished … even if he doesn’t know how yet. 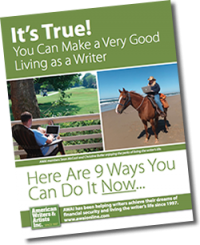 After I discovered the control over my time and finances I could get through my chosen Bare¬foot Writing path, freelance copywriting, setting goals has driven every step of my success. It allowed me to quit my job at a small publishing company in 2010, less than a year after I’d set that goal. Because I made it a priority, I’ve worked with several companies usually out of reach for first-year copywriters, including Casey Research, Nightingale-Conant, and Brian Tracy. I’ve already replaced my old income, and because I’ve set it as a goal, I’ll know I’ll hit six figures this year. And the icing on the cake for all my success in the past couple of years? I won AWAI’s $10K Challenge in 2012 – I beat the control (the sales letter that had the best sales results up until then) for the FastTrack to Copywriting Success Bootcamp and Job Fair. It was a validation of how far I’d come in my career. Every big accomplishment starts with a goal. But it doesn’t work to just have vague goals in mind. Michael Masterson outlines a very specific pro¬cess for setting goals … following through … and finally tallying up another big accomplishment for yourself. 1. Take yourself forward five years and look at your life. Write it all down. These are goals. Number one should be your most important five-year goal, then numbers two and three, and so on. 3. Take your top two or three goals and break each down into chunks – smaller tasks that to¬gether will accomplish your goal. Let’s say your number one goal is to buy a new lake house. The house you want is going to cost you $300,000, and you want to pay in cash. Your current annual expenses are $50,000. When you factor in taxes and extra expenses, you probably need to earn about $150,000 per year. That means doing thirty $5,000-projects per year or ten $15,000-projects per year. To close that many deals, you may need to contact as many as 300 potential clients per year – roughly one per workday. So, relying on new clients only, each day you need to find one or more clients to contact. You can also develop higher-paying, longer-term relation¬ships with some of your current clients – say, by entering into retainer agreements where you work with them regularly. 4. Take the tasks for each goal and get very specific about when each needs to be completed. First decide which year, then which month, then which day. Specificity is key! Continuing the example above: each year, you need to earn $150,000, which is $37,500 per quarter. So by the end of this quarter, you can make it a task to have $37,500 worth of projects lined up for the next one. There are about 12 weeks per quarter, so each week this quarter, you need to line up $3,125 in future work (knowing each $3,125 worth of projects needs to be able to be completed within a normal work week). 5. Now break down each task even further, scheduling time to complete each based on when the tasks need to be completed. Even go as deep as creating a daily schedule for yourself, knowing that sticking to this schedule will get you to your goals. Set aside time for writing, marketing yourself, contacting new clients … you get the idea. 6. Follow your schedule, and you’ll reach goal after goal successfully. Don’t settle for the same old routine. 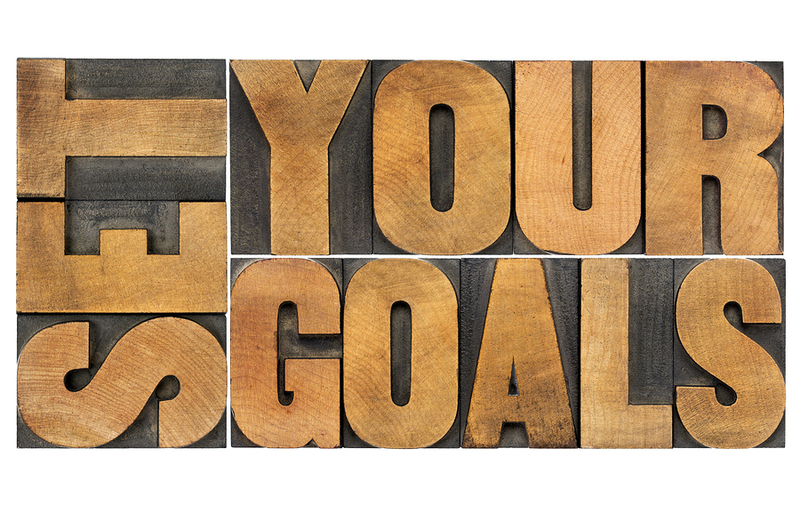 Set yourself on course to accomplish something big before the end of the year, using goal setting. By the way, be sure to let the people in your life – maybe not your boss – know what your Barefoot Writing goals are. Also, tell them how the Bare¬foot lifestyle will benefit them. This will keep you motivated and on track. I let my family know what my goals were every step of the way. This article helped me remember when I really did set my goals in a similar fashion. And what a difference it makes!! This article helped me realize how important goals are and how they can actually help you (me) accomplish my dream of becoming a barefoot writer and enjoying life with all the perks! I love this quote from Henry Ford that I picked up in the accelerated copywriting training . “Whether you think you can or think you can’t, surely you are right” If you can put your goals down on paper and layout how you plan to get there, you essentially create a roadmap for success and the best part is you control the destinations. Once you have your mind set towards success and your roadmap to get you there, the only thing left is the journey! 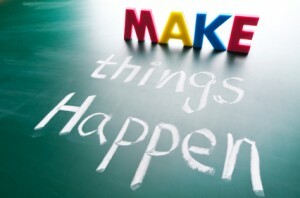 This article gives great detail on setting goals and why it is important. I will most definitely be on course to accomplish something bigger and better!